Take your creativity to new heights with the industry standard for motion graphics and visual effects. Digital filmmaking and motion design have opened up new worlds of possibility for visual storytelling. Adobe After Effects CC now gives you the tools to work dynamically in 3D with precision and control in an integrated, collaborative workflow. Shape images in space and time—and deliver results that dazzle and inspire. 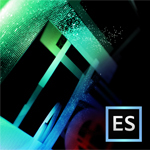 And like all of the new Creative Cloud desktop applications, After Effects CC is available exclusively in Creative Cloud. Create photo-real visual content fast with awesome new advancements, such as the Live 3D Pipeline between After Effects CC and CINEMA 4D, an enhanced 3D Camera Tracker, and layer and mask snapping for building compositions faster. 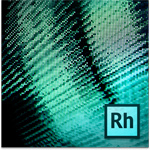 Save hours of tedious rotoscoping work with the Refine Edge tool. Be more creative, thanks to new stabilization tools and other refinements, giving you a more responsive workflow. Plus, with upcoming support for Adobe Anywhere for video, broadcast and post-production professionals can collaborate on workflows across enterprises regardless of location. 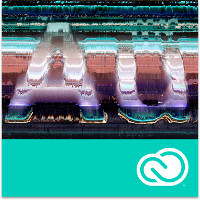 best-in-class applications for editing, motion design, color-grading, audio, and much more, Adobe Creative Cloud brings together everything you need to create your greatest work. 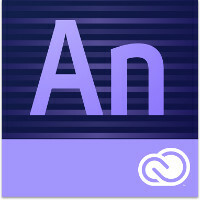 Who uses Adobe After Effects? Motion graphics designers and visual effects artists use After Effects to produce intricately designed short-form content such as TV commercials, broadcast graphics, and film titles, and to create a wide range of visual effects shots. Video editors and post-production professionals use After Effects to complement nonlinear editing tools such as Adobe Premiere Pro, providing a comprehensive solution for delivering enhanced production value. Interactive designers love the flexible tools in After Effects that help them easily prepare dynamic media that integrates well with interactive projects. Sound your best with Adobe Audition CC, the high-performance, cross-platform application that streamlines audio editing and production. Well-crafted audio dramatically enhances video content and brings broadcasts to life for the listener. Now 64-bit, Adobe Audition CC provides you with the tools to shape sound the way you want—and the workflows to deliver your projects quickly and efficiently. And like all of the new Creative Cloud desktop applications, Adobe Audition CC is available exclusively in Creative Cloud. Video editors and filmmakers rely on the tight roundtrip workflow between Adobe Premiere Pro and Adobe Audition to create Impactful projects with crisp dialogue and rich soundtracks. Broadcasters and podcasters count on Adobe Audition to edit audio fast and efficiently and deliver pristine audio content for the airwaves or the Internet. Audio pros use Adobe Audition for accurate analysis, precision restoration, and to build captivating soundscapes for games or any other projects that demand brilliant audio. More connected tools and services. Your creative community just a click away. Develop more web content, more quickly. 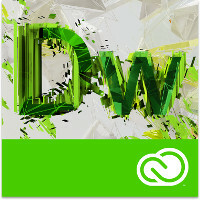 Dreamweaver CC is part of Creative Cloud. That means you have access to all the latest updates and future releases the moment they're available. You can use Sync Settings to keep your settings and preferences organized across multiple computers. And Creative Cloud is integrated with Behance, so you can share your projects and get immediate feedback from creatives around the world. We’ve released updates that enable greater creative expression and efficiency. New features like motion paths, templates, and the option to host files using an Adobe CDN make Edge Animate even easier to use. Watch the video for a close-up look with product manager Sarah Hunt. Create expressive HTML content with greater ease and precision. You can start from a clean slate by animating web graphics you’ve created in Photoshop CC or Illustrator CC and using a broad range of drawing, font, and styling tools. Or, you can add motion and interactivity to existing HTML layouts and templates. Build your projects using an intuitive interface. The WebKit based design surface in Edge Animate helps ensure your projects maintain fidelity across modern browsers. Design with confidence with a timeline that offers amazingly precise control. 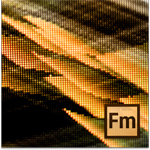 Edit property-based keyframes and use a revolutionary Pin tool to speed up the animation process. Use symbols to create nested animations with independent timelines. Reach viewers across iOS and Android smartphones and tablets, and modern desktop browsers like Chrome, Safari, Firefox and Internet Explorer 9+. Edge Animate works natively in HTML and its content requires no plug-ins. For older browsers, you can define a fallback state to ensure your content is still viewable. Preview and inspect your web designs on mobile devices. With Edge Inspect, work more efficiently using synchronous browsing and remote inspection, and grab screenshots from all connected devices with a single button click. Wirelessly pair multiple iOS and Android devices to your computer. With Edge Inspect, you browse in Chrome, and all connected devices will stay in sync. Press a single button to grab screenshots from all your connected devices and easily save and send them to colleagues. Screenshots are transferred to your computer, to a folder you can specify. Preview directly on devices in real-time while working in Edge Reflow CC and Edge Code CC. As you make changes to your pages, you can see how they look on devices. To make custom integrations easier, we now provide the Edge Inspect API. You can use this API to build custom browser extensions, use Edge Inspect as part of your build system, integrate Edge Inspect with an IDE or other application, and more. We hope you’ll find new ways to use the API that we haven’t thought of. The Edge Inspect API is available on GitHub. Fork it and send us your pull requests! Work faster than ever before with a 64-bit architecture, a new streamlined user interface, and more connected tools. Create HTML content and export high-definition video and audio. Flash Professional CC lets you share work directly from within the application and sync your settings across machines, and get access to new features the moment they're released. Your entire creative world, together in one place. Only in Creative Cloud. 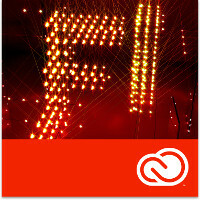 Flash Professional CC is part of Creative Cloud. That means you have access to all the latest updates and future releases the moment they're available. You can use Sync Settings and Save to Cloud to keep your settings, shortcuts, and files organized across multiple computers. And Creative Cloud is integrated with Behance, so you can share your projects and get immediate feedback from creatives around the world. Meet the most powerful and connected Illustrator ever. The new Touch Type tool gives you even more control over type: Move, scale, and rotate individual characters knowing you can change the font or copy at any time. And with Illustrator CC, you can share work directly from within the application and sync colors from Adobe Kuler. Your entire creative world, together in one place. Only in Creative Cloud. 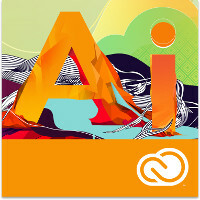 Illustrator CC is part of Creative Cloud. That means you have access to all the latest updates and future releases the moment they're available. You can use Sync Colors, Sync Settings, and Save to Cloud to keep your color themes, workspace, and projects organized across multiple computers. And Creative Cloud is integrated with Behance, so you can share your projects and get immediate feedback from creatives around the world. With InCopy CC, writers, editors, and designers can work simultaneously on a single document without overwriting each other's contributions. Now with support for Retina displays, new ways to find fonts quickly, and other features to help you work smoothly. 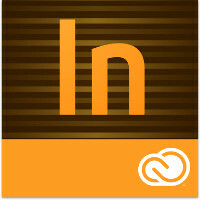 If you have a Creative Cloud membership, you can save InCopy files to the cloud so you can work from anywhere. Under-the-hood improvements and native 64-bit support make working on even the most complex documents speedier. And now, you can share work directly from InDesign CC and get access to new features the moment they're released. Your entire creative world, together in one place. Only in Creative Cloud. 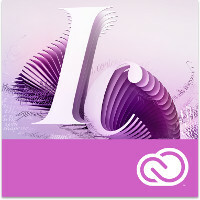 lnDesign CC is part of Creative Cloud. That means you have access to all the latest updates and future releases the moment they're available. Sharpen your skills and master new tools with a rich and growing library of training videos. And Creative Cloud is integrated with Behance, so you can share your projects and get immediate feedback from creatives around the world. Create and publish dynamic websites for desktop and mobile devices that meet the latest web standards - without writing code. Design freely using familiar tools and hundreds of web fonts. Easily add interactivity, including slide shows, forms, and more. 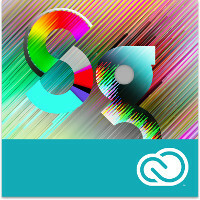 Save files with Creative Cloud for anywhere access and simple sharing. Your entire creative world, together in one place. Only in Creative Cloud. 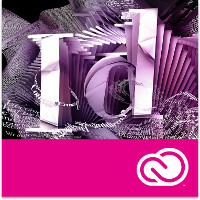 Adobe Muse CC is part of Creative Cloud. That means you have access to all the latest updates and future releases the moment they're available. You also get 20GB of cloud storage for backup and sharing. And Creative Cloud is integrated with Behance, so you can share your projects and get immediate feedback from creatives around the world. More freedom, speed, and power to make incredible images real. You’ll get dozens of new and reinvented features, including the most advanced sharpening tool available. 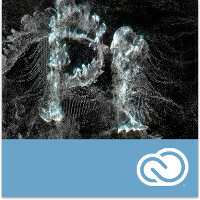 Share work right from Photoshop CC to Behance to get feedback and showcase your own projects. Get access to new features the moment they’re released. Your entire creative world, together in one place. Only in Creative Cloud. 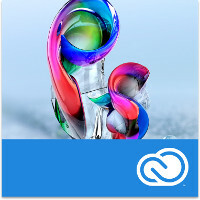 Photoshop CC is part of Creative Cloud. That means you have access to all the latest updates and future releases the moment they're available. Use Save to Cloud to keep your files organized across multiple computers. And with Behance integration, you can share your projects straight from Photoshop CC and get immediate feedback from creatives around the world. Work faster with smarter video ingest and logging. Edit video with greater speed and precision with Adobe Premiere Pro CC, the industryleading, cross-platform nonlinear editing application. 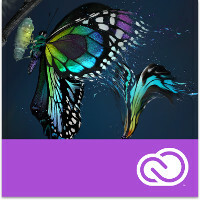 Offering a clean, easily customizable interface and native support for a huge range of file formats, Adobe Premiere Pro CC lets you move through projects faster and deliver your best work, even on the tightest deadlines. Deep integration with other Adobe Creative Cloud tools puts a complete production workflow at your fingertips and allows for close collaboration with other artists on projects of any size for virtually any deliverable. And like all of the new Creative Cloud desktop applications, Adobe Premiere Pro CC is available exclusively in Creative Cloud. Designed to work the way editors think, Adobe Premiere Pro CC offers a slew of new features and refinements that let you move through your projects efficiently and intuitively, including Editing Finesse workflow enhancements, Link & Locate to help you find files faster, an expanded audio toolset, an even more responsive Mercury Playback Engine, and a powerful new closed captioning workflow. Adobe Premiere Pro CC also includes the Lumetri Deep Color Engine, so you can apply .look files from Adobe SpeedGrade CC to your clips and cut with the aesthetic of the grade. A library of Lumetri Looks is included, offering simple, beautiful grading presets you can use without leaving the application. Part of Adobe Creative Cloud, Adobe Premiere Pro CC brings powerful, customizable nonlinear editing to your desktop. Use it alongside other Adobe production tools, such as Adobe After Effects CC and Adobe Photoshop CC, and discover how simple it can be to get great results quickly and efficiently. Offering best-in-class applications for editing, motion design, color-grading, audio, and much more, Adobe Creative Cloud brings together everything you need to create your greatest work. Adobe Premiere Pro CC offers a slew of powerful new features, including an audio control panel, Link & Locate, closed captioning, and Lumetri Deep Color Engine integration, as well as workflow refinements such as automatic synchronization of multiple camera angles, Adobe Story Plus integration, and more. Deliver balanced color and distinctive, vibrant looks for any type of video production. Grade faster with more connected tools, over a dozen powerful new features, and a redesigned interface that's both intuitive and familiar for Adobe Premiere Pro users. SpeedGrade CC gives you access to ongoing updates as soon as they're released, and integrates with other Adobe video tools for smooth start-to-finish video production. Your entire creative world, together in one place. Only in Creative Cloud. Rapidly build and deploy scalable, high-performing Java EE applications in enterprise environments. Easily create HTML5 applications and deliver richer user experiences without knowing HTML5. Leverage seamless Java integration and smart built-in solutions to condense complex logic into fewer lines of code. Make your deployment more secure with improved authentication and encryption. 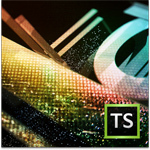 Rapidly build web applications for moderate traffic on a single server. Easily create HTML5 applications to deliver rich interfaces without prior knowledge of HTML5. Leverage language enhancements, seamless Java integration, improvements to object relational mapping and smart built-in solutions to condense complex logic into fewer lines of code. Make your websites more secure with formidable security standards. Quickly and easily build ColdFusion applications. Use professional coding tools, server management, testing tools, and capabilities to develop faster with less code and fewer errors. Customize your work environment to improve workflow, and easily expand functionality with extensions built with CFML. Take advantage of integration between ColdFusion Builder 2 and Flash Builder 4.5 to rapidly build rich Internet applications from client to server. 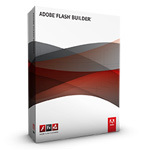 Includes a complimentary copy of Flash Builder 4.5 Standard. Iintegrates authoring, reviewing, and publishing in an easy-to-use WYSIWYG HTML editor. 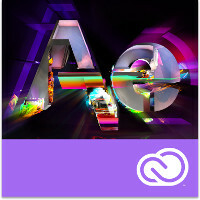 Tracks and controls access and publishing activities of individual users of Adobe Contribute software. It provides central management of site connections and access permissions and a deeper view into publishing activities through logging and e-mail notifications. As a lightweight server application, Contribute Publishing Server is easily installed in minutes on Windows, Linux, and UNIX servers, or on any standard J2EE application environment. Contribute Publishing Server integrates with enterprise systems using LDAP and Active Directory user directories and enables users to publish activities across large numbers of websites and publishers. 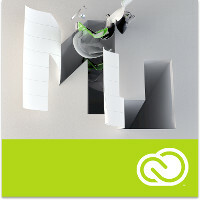 Explore new dimensions in rich multimedia authoring. - create and publish compelling interactive games and eLearning courses for the web, iOS devices, Mac and Windows desktops, DVDs, and CDs. 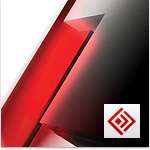 - integrate virtually any major file format, including FLV, swf and native 3D content. - best tools for application simulation, product demos, digital imaging, rich animations, and audio production. - accelerate development with rapid prototyping, roundtripping workflows, and out-of-the-box assets like actors and smart interactions. - publish to SCORM- and AICC-compliant LMSs and easily track SWF, PDF, and HTML5 content. *Flex support for additional platforms to be delivered in June 2011. Rapidly build expressive mobile and web applications using Flex and PHP. 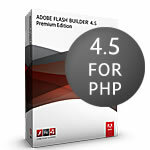 Adobe Flash Builder 4.5 for PHP includes an integrated copy of Zend Studio 8, providing an optimized Flex/PHP development experience. Utilize a common code base to deliver apps for Android, iOS*, and Blackberry Tablet OS*, while sharing code from web apps, dramatically reducing the time and cost of application creation and maintenance. 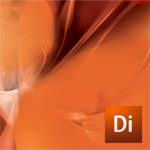 Integrated workflows with Adobe Creative Suite 5.5 products enable collaborative design and development. 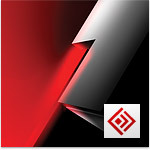 Adobe Flash Builder 4.7 software is a development environment for building games and applications using the ActionScript language and the open source Flex framework. Includes more than 2,400 fonts from the Adobe Type Library in OpenType format, which provides enhanced linguistic support, advanced typographic features, and true cross-platform compatibility. Please Note: Transactional Licensing Program (TLP) orders require an initial minimum purchase quantity of 20 Font Folio 11.1 licenses. 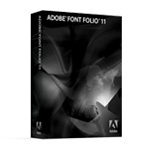 Additional TLP Font Folio 11.1 licenses can be ordered in any quantity. Best-in-class authoring and publishing solution for XML and unstructured content. Use the new XML Code View to natively author structured content. Use PDF-based roundtrip reviews. Efficiently manage content with out-of-the-box CMS integration. Author and publish technical documentation. 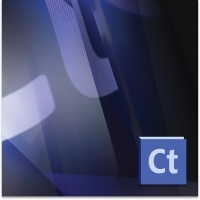 Powerful authoring and publishing tool for technical communicators. Work in a WYSIWYG, template-based authoring environment, handle structured content in XML and SGML using DITA or DocBook, single-source variations of the same document through advanced conditional output, and leverage new support for Unicode, 3D, and rich content to create engaging documentation in multiple languages and formats. Automatically publish high-quality technical content virtually anywhere. Enterprise scheduling and publishing engine that extends the power of Adobe FrameMaker 11 software. 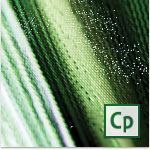 Easily configure, customize, and automate high-volume, professional-quality publishing. Deliver content to iPad and other tablets, smartphones, and desktops using output formats such as multiscreen HTML5, PDF, eBook, mobile apps WebHelp, CHM, and Adobe AIR Help. Use leading CMSs such as Microsoft SharePoint and EMC Documentum, as sources or destinations. Enterprise-class authoring and publishing solution that combines the simplicity of word processing with the power of XML. Enjoy WYSIWYG authoring in either a familiar word processing, style-tagging mode or a fully structured environment optimized for the editing and production of valid XML. Take advantage of long-document support that includes book management features, sophisticated templates, and rich formatting options. Speed the delivery of J2EE applications with an affordable and reliable server. Fast, affordable, reliable solution for delivering Java applications. 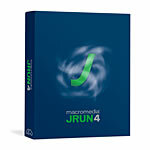 New features such as drag-and-drop deploy, XDoclet integration, and optimized Macromedia Flash Player connectivity speed development and deployment. Currently used in production at over 10,000 companies worldwide, JRun has confirmed reliability for powering J2EE applications. Take advantage of flexible media delivery and real-time communication capabilities. Create even more detailed and interactive experiences on the web and mobile devices. Get extra streaming capabilities for advanced edge caching, multicast and HTTP Dynamic Streaming. Learn more range with delivery to multiple protocols and customized interactive social media applications. Enable more secure online delivery of live and on-demand streaming media. Stream quality content that is compatible with Adobe Player, quickly and easily with Adobe Media Server 5 software. With high performance and dynamic you can utilize your hardware resources more efficiently and reach the largest audience with the best quality. Moreover, you can protect your rich media material better and broadcast live video on the Internet and mobile devices. 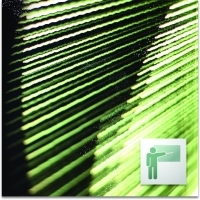 Create high-quality publications such as brochures. 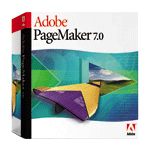 Adobe PageMaker 7.0 lets you easily produce professional-quality business communications for print, press, or online distribution in Adobe Portable Document Format (PDF). Please note that Adobe has discontinued the development of this product and offers limited support options. 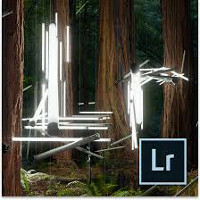 From first look to final image, Adobe Photoshop Lightroom 5 makes everything about digital photography easier, faster, and more amazing. Perfect your shots with powerful new adjustment tools like the Advanced Healing Brush. 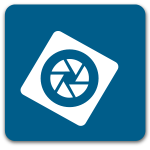 Efficiently organize all your photos and share them almost anywhere. And now that Lightroom is also available in Adobe Creative Cloud, making good shots great is only the beginning. Communicate more effectively with engaging videos and interactive presentations created in PowerPoint. Minimize the time, effort, and cost of producing and editing videos by doing it yourself at your desktop. Add quizzes, deliver to the web, video sharing sites, desktops, and mobile devices, and track using integration with LMS. Easy-to-use authoring and multichannel, multiscreen HTML5 publishing solution. Deliver content virtually anywhere using a wide variety of output formats. Use next-generation collaboration workflows, and optimize content for relevance and search. 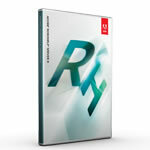 Augments the managing and tracking functions of Adobe RoboHelp 9 software. Automatically build multiple sections of a project and publish them as a seamless whole, manage user rights and security, and use simplified deployment and configuration of content. Track data navigation patterns and repeated search requests to create more relevant help systems, and enable searches based on a wide range of variables. 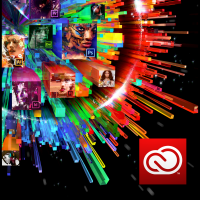 Adobe Technical Communication Suite 4 is a single-sourcing, rich multimedia and multiscreen HTML5 publishing toolkit. 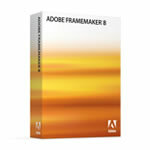 Author XML content with Adobe FrameMaker 11. 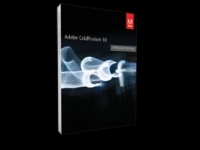 Publish virtually anywhere using Adobe RoboHelp 10. Enrich content using Adobe Illustrator CS6 and Adobe Captivate 6.